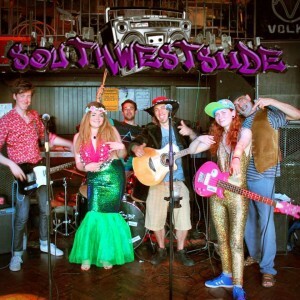 SouthWestsiide delivers golden age hip hop with a Nu Skool twist . Melting their own style with sublime crowd interaction has proven a hugely effective fusion , enjoyed at venues and festivals across the country . Appearing at Boomtown, Small World festival, featuring on the renowned Juice Fm and signing the up & coming Brighton based BOT label are just a handful of the milestones achieved in the last year . Keeping the real hip hop vibe alive for all the music fans out there is their mantra, delivering perfect entertainment is their product . Not to be missed out on! 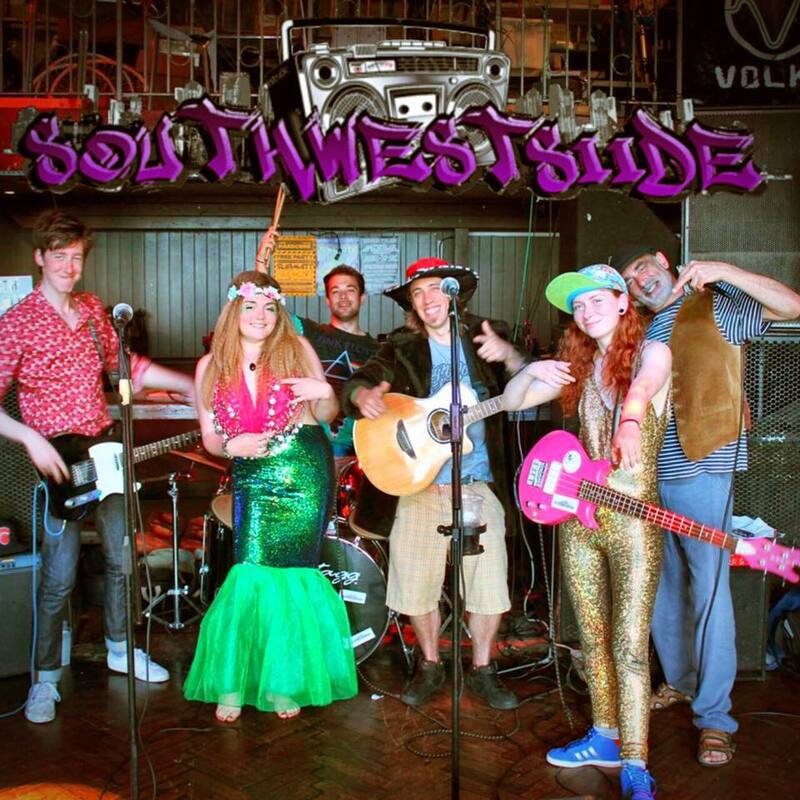 Brighton Based 6 Piece That Beautifully And Uniquely Blends Blues, Funk, Roll’n'roll, Ska, Reggae, Soul and Drum & Bass With Classic Old Skool Hip Hop Anthems To Create A Multi-Genre Dance Fusion Sound For One & All!